Forget the fact that there’s snow on the ground, the calendar says it’s spring, so we think it’s fair game to start planning some warm weather weekend retreats. 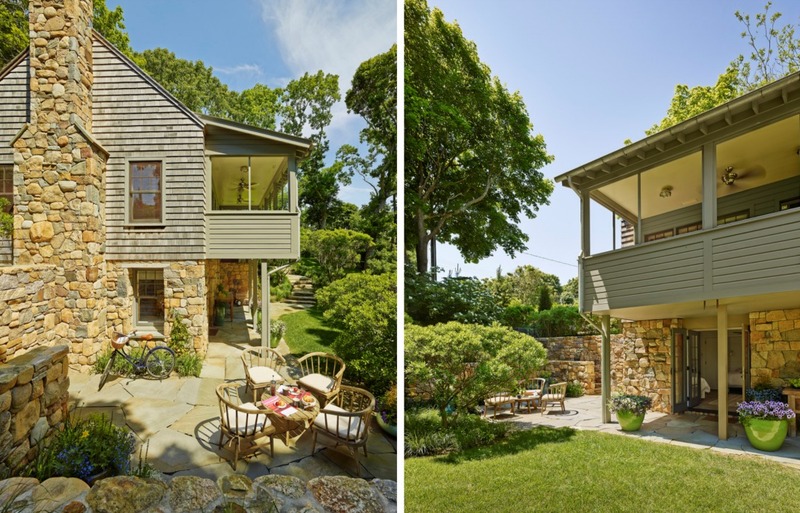 And since the Hamptons Jitney runs all year, why not start by ogling this charming Montauk home by Robert Young Architects. 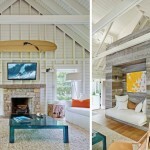 The Navy Road Guest House mixes the best of traditional, clean Hamptons living with upstate-like rustic charm. 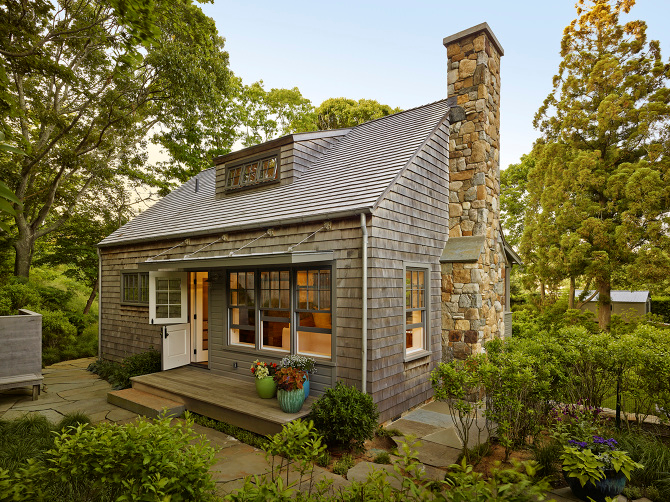 Outside, perfectly landscaped, winding grounds complement the stone and wooden-shingled façade. 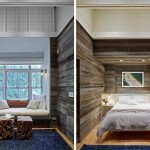 Inside, whitewashed rooms are perfectly balanced with earthy wooden walls. Known for its world-class fishing, Montauk is often thought of as a summer playground for New York City’s elite. But driving up to the Navy Road Guest House one senses nothing pretentious, just a warm, welcoming atmosphere. The organic feel of the home’s exterior resonates through the curving slate patio, stone wall, and stone and wood façade. 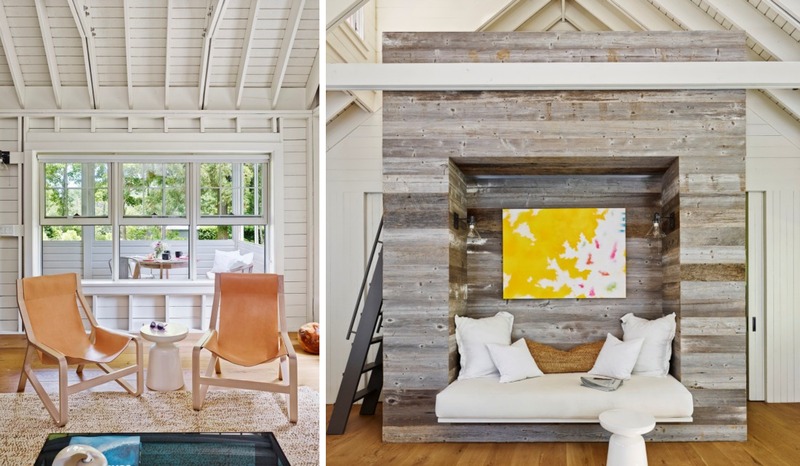 Like the main house, the firm’s Montauk Lake House, the guest house grabs your attention with its whitewashed walls and exposed trusses, hinting at the nautical Hamptons location. 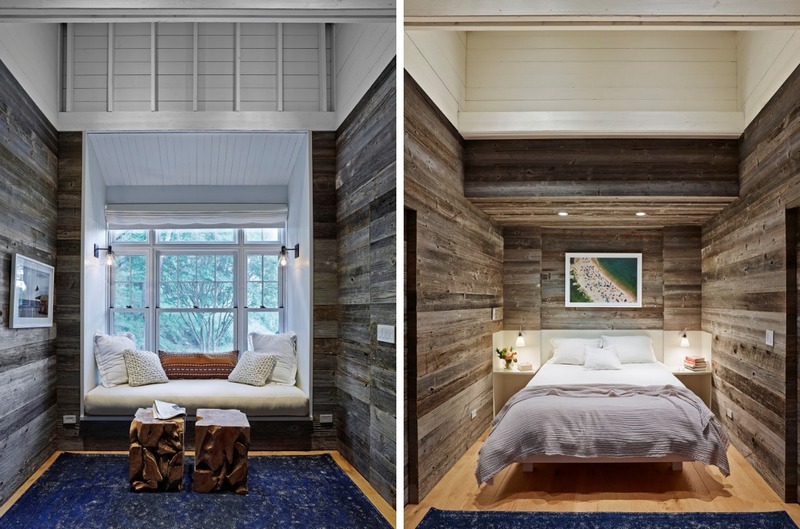 But Robert Young veers from the traditional seaside esthetic with the wooden cubes that function as lounge and sleeping nooks. 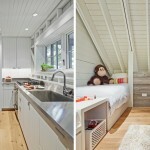 The fun, colorful décor keeps the rustic wood fresh and light in the summer, but this home would also read cozy and warm in the winter — a perfect year-round guest house. See more work from Robert Young Architects here. Where can I find the glass sconces with black backplate? Love them! And this house! Thanks.